Harriet Jean Carter, 85, of Fayetteville NC passed away on March 28, 2019. She spent her final days on this earth surrounded by her beloved nieces, nephews, dear cousins and friends. Harriet Jean was the daughter of the late Calton Derb Carter and Lela Horner Carter. She was born and grew up in Massey Hill, where she lived most all her life. Harriet Jean taught elementary school for 32 years. 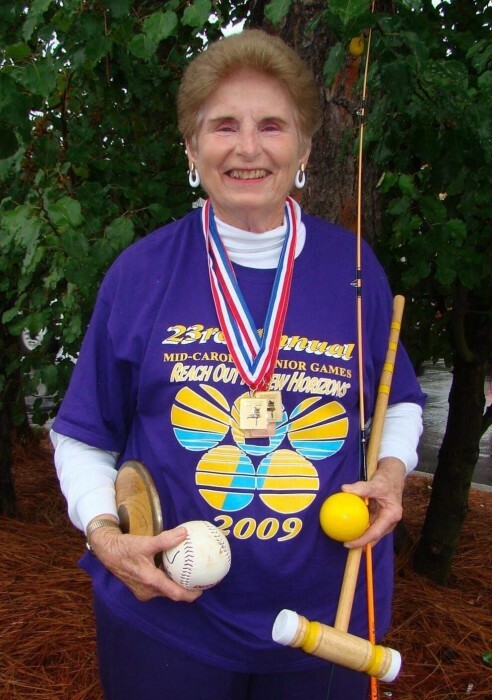 Following her retirement, she remained active and began competing in the Mid-Carolina Senior Olympics at the age of 59. She participated at the local, state and national levels and brought home an unbelievable number of medals she proudly displayed throughout her home. During the senior games, she competed in many different sports but was best known for her strong arms and her ability to throw the shot put and discus. Her competitive nature also spilled over into her scrabble club where she enjoyed both playing and winning. She had a huge heart, a contagious smile and was always there for others in need. She had a very soft spot in her heart for animals and cared for many throughout her lifetime. 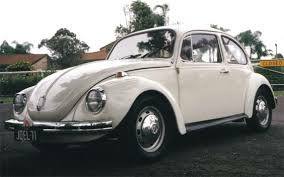 One of her most prized possessions was her white Volkswagen Beetle that she drove all the way to and from Alaska. She loved her Church, her Church family and her Lord Jesus Christ. Harriet Jean is survived by a sister, Jessie Carter McDonald of Raleigh; sister-in-law Joyce Edwards Carter of Massey Hill; nephews Derb Carter Jr. (Ann), Edward McDonald (Cindy) and Drew Carter (Rebecca); nieces, Lisa Carter Waring (Mike) and Lela Carter Clark (Mark), six great nieces and nephews and five great-great nieces and nephews. She is preceded in death by two brothers, Derb Stancil Carter (Evelyn) and Lentz Horner Carter and her beloved niece Susan McDonald Burns. Funeral services for Harriet Jean will be held at Hillside Baptist Church. The service will begin at 12 pm with a visitation scheduled for 11 am. In lieu of flowers, the family requests donations be made in her memory to Hillside Baptist Church, 3807 Legion Rd. Fayetteville, NC 28348 designated to either the Lottie Moon Offering Fund or Odum Home Ministry.